More than 250 million years before the first dinosaur, the most fearsome killers on Earth may have been lobsters. Yawunik kootenayi, a common ancestor to spiders, shrimp and butterflies, was a predatory "lobster-like" creature that ruled the seas half a billion years ago. 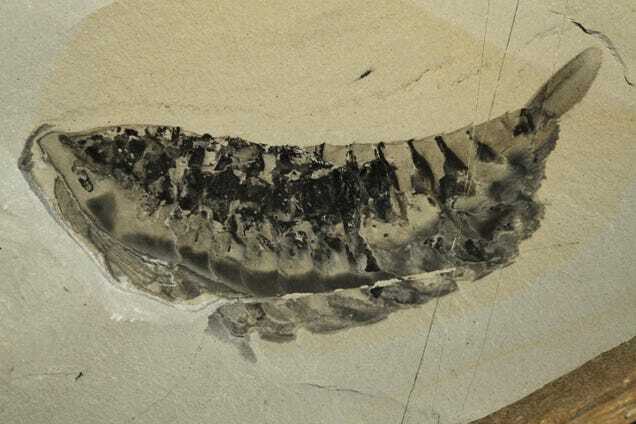 As reported this week in the journal Paleontology, fossils of Yawunik were recently unearthed from Marble Canyon, part of the renowned Burgess Shale rock formation of British Columbia. This massive fossil bed holds specimens of many sea creatures that lived during the Cambrian period, the geologic era that saw a rapid diversification of marine life forms. This particular creature was named after a mythical marine monster that played a central role in the creation story of the Ktunaxa people. The name seems befitting because, according to study co-author Jean-Bernard Carbon, the lobster Yawunik was probably one of the most important predators of its time. "Yawunik is the most abundant of the large new species of the Marble Canyon site, and so, as a predator, it held a key position in the food network and had an important impact on this past ecosystem," Caron said in a statement. "This creature is expanding our perspective on the anatomy and predatory habits of the first arthropods, the group to which spiders and lobsters belong. It has the signature features of an arthropod with its external skeleton, segmented body and jointed appendages, but lacks certain advanced traits present in groups that survived until the present day. We say that it belongs to the 'stem' of arthropods." The ancient predator's most interesting adaptation may be a series of multi-purpose frontal appendages. Long, whip-like antenna were probably used to sense its environment, while the feelers' toothy claws helped Yawunik ensnare its prey. Fossil evidence suggests the Yawunik could whip its claws backwards and forwards, fanning them out during an attack or retracting them under its body while it swam. It may have only been a few inches long, but don't size fool you. To most other marine creatures alive during its time,Yawunik would have been the stuff of nightmares.